Whole Foods Market, the grocery chain, on Friday became the first retailer in the United States to require labeling of all genetically modified foods sold in its stores, a move that some experts said could radically alter the food industry. Genetically modified ingredients are deeply embedded in the global food supply, having proliferated since the 1990s. Most of the corn and soybeans grown in the United States, for example, have been genetically modified. The alterations make soybeans resistant to a herbicide used in weed control, and causes the corn to produce its own insecticide. Efforts are under way to produce a genetically altered apple that will spoil less quickly, as well as genetically altered salmon that will grow faster. The announcement ricocheted around the food industry and excited proponents of labeling. “Fantastic,” said Mark Kastel, co-director of the Cornucopia Institute, an organic advocacy group that favors labeling. The Grocery Manufacturers Association, the trade group that represents major food companies and retailers, issued a statement opposing the move. “These labels could mislead consumers into believing that these food products are somehow different or present a special risk or a potential risk,” Louis Finkel, the organization’s executive director of government affairs, said in the statement. Mr. Finkel noted that the Food and Drug Administration, as well as regulatory and scientific bodies including the World Health Organization and the American Medical Association, had deemed genetically modified products safe. The labeling requirements announced by Whole Foods will include its 339 stores in the United States and Canada. Since labeling is already required in the European Union, products in its seven stores in Britain are already marked if they contain genetically modified ingredients. The labels currently used show that a product has been verified as free of genetically engineered ingredients by the Non GMO Project, a nonprofit certification organization. The labels Whole Foods will use in 2018, which have yet to be created, will identify foods that contain such ingredients. 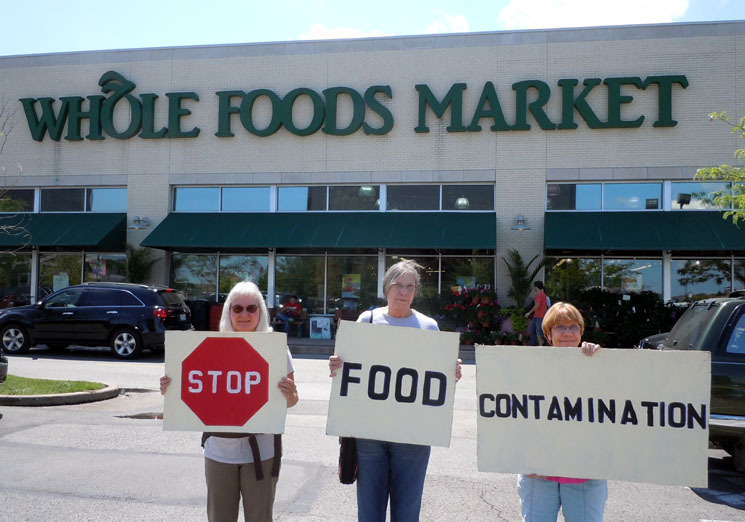 The shift by Whole Foods is the latest in a series of events that has intensified the debate over genetically modified foods. Voters defeated a hard-fought ballot initiative in California late last year after the biotech industry, and major corporations like PepsiCo and Coca-Cola, spent millions of dollars to fight the effort. Other initiatives have qualified for the ballot in Washington State and Missouri, while consumers across the country have been waging a sort of guerrilla movement in supermarkets, pasting warning stickers on products suspected of having G.M.O. ingredients from food companies that oppose labeling. Proponents of labeling insist that consumers have a right to know about the ingredients in the food they eat, and they contend that some studies in rats show that bioengineered food can be harmful. He compared the potential impact of the Whole Foods announcement to Wal-Mart’s decision several years ago to stop selling milk from cows treated with growth hormone. Today, only a small number of milk cows are injected with the hormone. She contended, however, that without scientific evidence showing that genetically modified foods caused health or safety issues, labeling was unnecessary. Nonetheless, companies have shown a growing willingness to consider labeling. Some 20 major food companies, as well as Wal-Mart, met recently in Washington to discuss genetically modified labeling. Coincidentally, the American Halal Company, a food company whose Saffron Road products are sold in Whole Foods stores, on Friday introduced the first frozen food, a chickpea and spinach entree, that has been certified not to contain genetically modified ingredients. More than 90 percent of respondents to a poll of potential voters in the 2012 elections, conducted by the Mellman Group in February last year, were in favor of labeling genetically modified foods. Some 93 percent of Democrats and 89 percent of Republicans in the poll, which had a margin of error of plus or minus 3.1 percent, favored it. But in the fight over the California initiative, Proposition 37, the opponents succeeded in persuading voters that labeling would have a negative effect on food prices and the livelihood of farmers. That fight, however, has cost food companies in other ways. State legislatures and regulatory agencies are pondering labeling on their own, and consumers have been aggressive in criticizing some of the companies that fought the initiative, using Twitter and Facebook to make their views known. Buoyed by what they see as some momentum in the labeling war, consumers, organic farmers and food activists plan to hold an “eat-in” outside the F.D.A.’s offices next month to protest government policies on genetically modified crops and foods. Whole Foods, which specializes in organic products, tends to be favored by those types of consumers, and it enjoys strong sales of its private-label products, whose composition it controls. The company thus risks less than some more traditional food retailers in taking a stance on labeling. In 2009, Whole Foods began submitting products in its 365 Everyday Value private-label line to verification by the Non GMO Project. But even Whole Foods has not been immune to criticism on the G.M.O. front. A report by Cornucopia, “Cereal Crimes,” revealed that its 365 Corn Flakes line contained genetically modified corn. By the time the report came out in October 2011, the product had been reformulated and certified as organic. Today, Whole Foods’ shelves carry some 3,300 private-label and branded products that are certified, the largest selection of any grocery chain in the country. Mr. Gallo said Whole Foods did not consult with its suppliers about its decision and informed them of it only shortly before making its announcement Friday. He said Whole Foods looked forward to working with suppliers on the labeling. 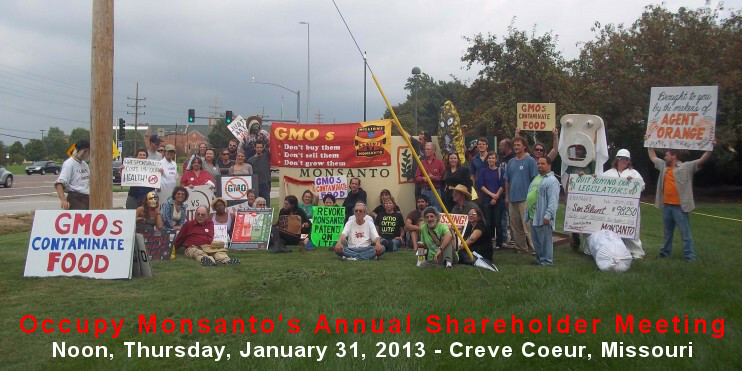 CREVE COEUR, MO – On Thursday, January 31, 2013, the Monsanto Company officers and shareholders will vote on a shareholder proposal to create a study of “material financial risks or operational impacts” associated with its chemical products and patented genetically modified organisms (GMOs). Activists in favor of the measure will demonstrate outside the meeting to raise awareness that the public does not currently have the right to witness what will be the only democratic vote of accountability on Monsanto’s leadership because the company bans cameras inside their Annual Shareholder Meeting. WHERE: Monsanto Global Headquarters, Creve Coeur, MO, East Campus Entrance on Olive Blvd. “Monsanto pledges transparency, but provides very little,” says Adam Eidinger, an organic food activist and Monsanto shareholder who organized a march from NY to Washington DC on behalf of honest food labeling in 2011. For the second year in a row, Eidinger will present a shareholder resolution on behalf of Napa, California-based Harrington Investments (HII) with help from the Pesticide Action Network of North America (PANNA). “Companies like Starbucks, Walmart, The Washington Post, Oracle, Apple and Coca-Cola among many others provide the public and media access to their shareholder meetings in one form or another, but Monsanto, a company who’s patented genetically engineered products are in most people’s food, meets in secret,” says Eidinger. “By banning cameras from their Annual Shareholder Meeting, Monsanto is flouting its pledge to shareholders who are unable to attend, the majority of Americans who eat the products created by Monsanto Company’s patented technology, farmers who are keen to know future plans of their seed & herbicide provider, and members of the media who report on the company,“ says Eidinger. 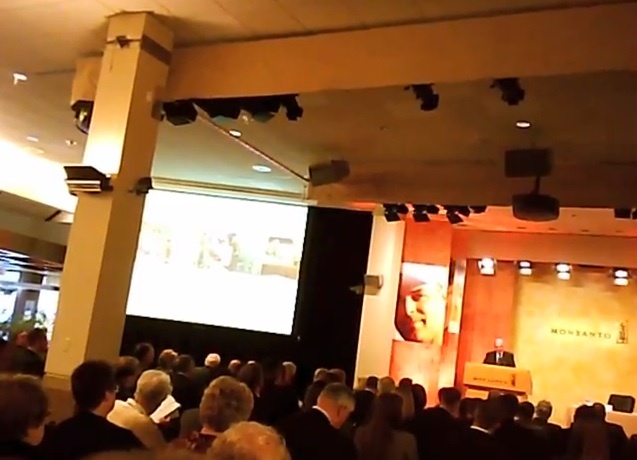 Last year Eidinger was forced to sneak an undercover camera into the Annual Shareholder Meeting because safe food activists were concerned about Monsanto Company’s lack of transparency. The grainy footage has been viewed more than 55,000 times. “I shouldn’t be required to break the rules in order to uphold Monsanto Company’s pledge of transparency,” says Eidinger. The shareholder proposal Eidinger will speak for represents one of the strongest signals to date that the Monsanto Company faces growing consumer, legal, and regulatory uncertainties. Public pressure for transparency in the marketplace in the form of GMO food labeling is leading to new battles for Monsanto Company, which spent over $8 million dollars in 2012 to prevent labeling of genetically engineered foods in California. Next month, on February 19, Bowman v. Monsanto, a landmark case on GMO patent exhaustion, will be argued before the US Supreme Court. If the Supreme Court rules against the Monsanto Company many its patented products face an uncertain future. The Annual Shareholder Meeting itself is only open to shareholders but concerned citizens will demonstrate outside along Olive Blvd. near the East Campus entrance to Monsanto Company’s Creve Coeur facilities beginning at 12:00 noon. The Monsanto Company global headquarters is located at 800 North Lindberg Boulevard in Creve Coeur, MO. 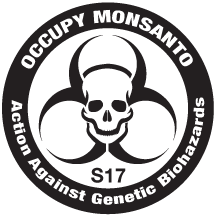 In 2012 there were over 100 demonstrations against the Monsanto Company around the world, including protests on five different Hawaiian Islands, three at Monsanto Company’s headquarters in Creve Coeur, Missouri along with 60 others across the US. In Argentina, Japan, Poland, Canada, Peru, Philippines, Spain, and numerous others countries people protested at Monsanto Company offices on September 17, 2012. Last fall Monsanto and its business allies showed they can subvert the democratic process by spending more than $45 million dollars to spread lies in order to prevent GMO labeling in California’s Proposition 37. Monsanto and other biotechnology & processed food companies outspent their opposition by a factor of 5 to 1. In 2013 numerous states, including Missouri, have pending GMO labeling legislation. Washington State is expected to have a GMO labeling initiative on the ballot later this year. Efforts are already underway in California for a new 2014 labeling initiative. Adam Eidinger will be available for interview before and after the Monsanto Shareholder Meeting, to which he will drive in a “Label GMO Foods” art car called the Fishycorn Car. More information at http://Occupy-Monsanto.com . Bay Area activists are planning a peaceful protest at Syngenta Flowers in Gilroy today, marking the final day of a nationwide “global week of action” against “evil biotech” facilities linked to the Genetically Modified Organism food system. 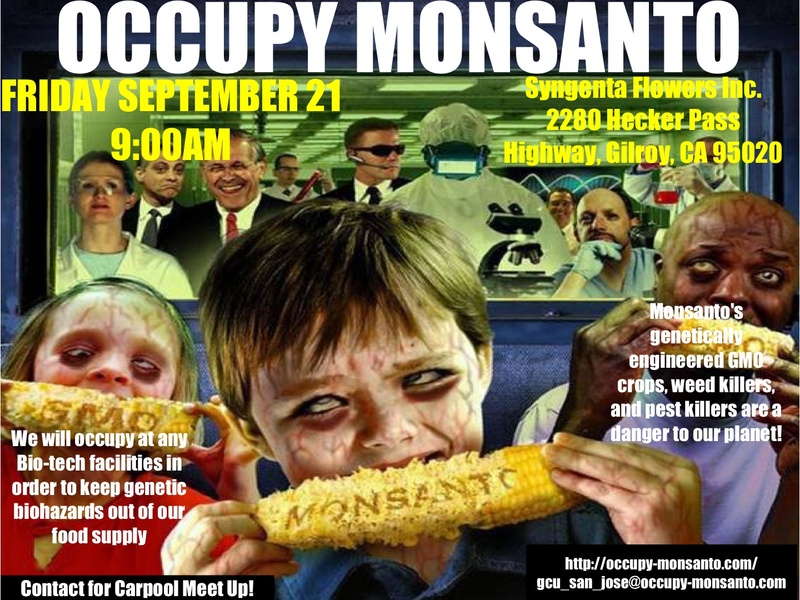 A provocative Facebook flier promoting the event depicts mutant zombie children gnawing on GMO-poisoned corn. 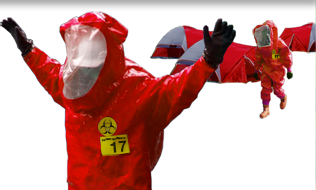 Some participants will tout visual props such as signs and biohazard suits, while others will protest through music or street theater. While the local Syngenta facility at 2280 Hecker Pass Highway doesn’t actually sell or manufacture vegetable seeds or vegetable plants – it’s a flowers-only operation – the Swiss biotech giant that employs more than 26,000 people in more than 90 countries is currently the world’s No. 2 vegetable seed proprietor, according to its website. “The main point is that we’re getting the word out about industrial agriculture and the food we eat,” explained Adam Eidinger, Washington D.C.-based spokesman for Occupy Monsanto. Protesters decided to demonstrate in Gilroy since “there wasn’t a Monsanto facility that we could find near San Francisco” – although a branch of Seminis, Inc., a leading vegetable and fruit seed company acquired by Monsanto in 2005, is located at 500 Lucy Brown Lane in San Juan Bautista. Opposition against genetically engineered seeds – which are used by farmers for greater efficiency and higher output – run the gamut. Reported arguments include: Risks to human health and the environment, GMO seeds being too expensive, resistant to weed killer, and genetically contaminating traditional crops – which are important to organic farmers, as well as conventional farmers who export crops to countries that reject genetic engineering. Monsanto itself has come under fire during the decades for “pollution, corruption,” and attempting to “take control of the world’s food supply,” as accused by one of many books against GMO seeds. Eidinger says the protest in Gilroy is gaining steam through social media and organized carpool groups. Approximately 31 people have RSVP’d to the 9 a.m. protest so far on the event’s Facebook page. The gathering is also being advertised on Craigslist and IndyBay, a non-commercial, democratic collective of independent Bay Area media makers and media outlets. Owner Steve Costa with Headstart Nursery on Monterey Road in Gilroy believes the controversy projected onto the local Syngenta Flowers is misplaced. “It’s kind of ridiculous to beat up a nice business” that’s an “asset to our area,” he rations. Executive Director Jennifer Scheer with the Santa Clara County Farm Bureau agrees the protest is “unfortunate,” but for additional reasons. As the world population continues to increase exponentially, “we’re going to need to feed a third more people shortly with the same number of resources, or fewer,” she noted. Genetic technologies employed by companies such as Syngenta have a lot of potential to address that reality, she reasoned. Scheer can’t speak to the myriad arguments touted by activists such as Eidinger, who points out that GMOs in food have been linked to autism, obesity, food-based allergies, dropping fertility rates, birth defects and “weird” neurological disorders, according to the Centers for Disease Control and Prevention. 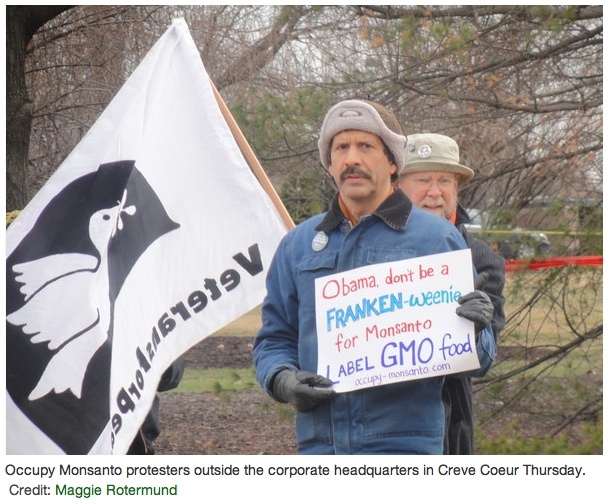 Occupy Monsanto was strategically timed with the one-year anniversary of the Occupy Movement, which began Sept. 17 on Wall Street in Manhattan and targeted, among numerous issues, corporate greed and corruption. Protests this week mark the first global mobilization against GMOs in more than a decade, according to Eidinger. Many individuals partaking in Occupy Monsanto are seizing the movement as a platform to dually voice their support for Proposition 37, the “California Right to Know Genetically Engineered Food Act,” one of 11 statewide initiatives that is on the Nov. 6 ballot. A sample of groups who oppose the initiative include Monsanto, Syngenta, Kellogg, Kraft, Smucker, Bayer, Pepsico, Coca-Cola, Nestle, Hershey, the California Farm Bureau, ConAgra Foods, California Chamber of Commerce and California Retailers Association. Syngenta is listed as a donor to the “No on 37” campaign. Biotechnology labeling is not required by the Food and Drug Administration, although it has been adopted by more than 40 countries, including New Zealand, parts of Asia and Australia and most of Europe. Others activists, such as San Jose protester Toby Nixon, are using the event at Syngenta Friday as an outlet to protest against Monsanto for personal reasons. Nixon is attending the protest in support of his father, a former member of the U.S. Army Special Forces for 27 years who was exposed to Agent Orange – an herbicide and defoliant used by the U.S. military during its herbicidal warfare program in Vietnam. Monsanto, whom Nixon likens to “a thug on a street corner,” played a primary role in manufacturing Agent Orange. Spokesman Eduardo Abarca with Occupy Monsanto-Syngenta, a 24-year-old San Francisco student and activist, wants to bring awareness to the fact that Syngenta manufactures an herbicide called Atrazine, “one of the most commonly detected pesticides that we find in our water,” Abarca claims. Abarca also claims that Monsanto sells seeds to Syngenta, although Schwind was unable to verify this statement as of press time. Sgt. Pedro Espinoza with the Gilroy Police Department confirmed law enforcement is aware of the planned protest and has a contingency plan in case things get out of hand. Espinoza said he doesn’t anticipate any issues, so long as everyone abides by the law. Abarca maintains the protest is a peaceful demonstration.